I wrote about what I read last year, and about the tone of my personal life in 2015. But what about that “become a published novelist” project I’ve been working on? At the start of last year, I came up with an action plan that had six items on it. I accomplished four of them. And I have a good reason for not finishing the other two. It has to do with a significant change of plans I made mid-year. First, here’s what I planned to do and did. I finished it on January 30. It came in at 106,652 words and contained some significant structure changes from the first draft. Remember, remember the 5th of November because on that day, the anniversary of the day Doc Brown invented time travel, I completed this checklist item. The third draft was 103,071 words. This one made me smile because my first reaction was, whew, got that one in under the wire since I finished pre-writing on book 2 of The Verdant Revival in November. Then I realized: past me meant “my second novel,” not Verdant Revival 2. Past me meant Simon Bradley and the X-Ray Specs, the young adult sci-fi romp for which I finished pre-writing in February. So I not only accomplished this one, I crushed it. I completed the pre-writing on two books. Go, me! And this is the other plan item where I was an over-achiever. After completing pre-writing in February, I completed the first draft of Simon Bradley and the X-Ray Specs on April 30. I really love that book, and I do still plan to write a second draft of it. I know exactly what changes it needs. But that likely won’t come until I’m closer to wrapping up The Verdant Revival. 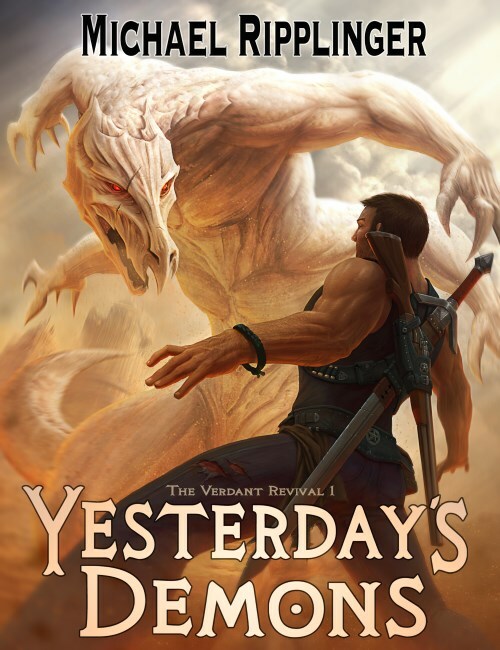 I also started the first draft of novel #3, Verdant Revival 2. I’m only 5% into it, but hey… it’s started. Now for the items on my list I did not complete. Not doing this was a very deliberate decision. In July, I decided to independently publish the book instead of shopping it to traditional publishers. I’m still very happy with this decision. I don’t rule out shopping a book to traditional publishers in the future, but I definitely want to publish The Verdant Revival trilogy myself. A copy edit of Yesterday’s Demons was intended to be a prerequisite of shopping the book to agents and publishers, so I skipped it (for now). What will happen instead is I’ll take my awesome editor’s great advice and apply it to a fourth and final draft of the book. See what I did with that last item? I started to segway into my plan for 2016. But for that, you’ll have to wait until next time because I still need to give it some thought. I couldn’t be happier with what I accomplished in 2015. But I’m even more excited about what I have planned for 2016. This is the year I finally become a published author. This has been a dream of mine for a very long time and later this year, it comes true. Hmm, I wonder if I could swing a trip to Disneyland to celebrate?